This webinar features an award-winning 2018 OLC Effective Practice which was recognized at OLC Accelerate 2018, November 20-22, 2018, in Orlando, FL. What happens when educators come together to form a constellation of collaboration? Join members of the #SquadGoalsNetwork, both an informal personal learning network (PLN) and award-winning collaborative framework, to discuss their take on the networked PLNs. For many of us, the story of the creation of our networks began at a conference, with the chapters subsequently weaving in and out of many institutions around the U.S. and the world. For the #SquadGoalsNetwork, the participants built on their conference connections with occasional face-to-face meetings, but they gained greater traction by adding a series of virtual connections that allowed them to educate, entertain and support each other across a wide variety of digital learning initiatives. Through this community, their work is strengthened by connections as individuals and institutions throughout the year, allowing small professional development innovations to scale largely and vice versa. Their group used storytelling as the backbone of their effective practice as a means of better sharing methods, use cases and successes. Ultimately, when this small group of educators decided to create a hub to share the stories of these connections as well as a framework for keeping these connections alive, the #SquadGoalsNetwork was formed. Angela Gunder serves as the Director of Instructional Design & Curriculum Development for the Office of Digital Learning. 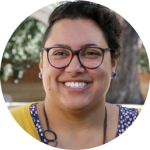 Angela came into instructional design rather circuitously, helming large-scale site designs as webmaster for The City College of New York, the honors college at ASU, and Northern Virginia Community College (NOVA). Her over fifteen year career as a designer for higher education informs her instructional design practice, where she leverages her expertise in usability, visual communication, programming, and standards-based online learning. Dr. Ryan Straight is an award-winning educator, writer, and researcher. He currently serves as an Assistant Professor at the University of Arizona. He is co-program director of the Master of Science and undergraduate minor programs in Educational Technology and teaches in the Informatics and Cyber Operations undergraduate programs. He also teaches an annual freshman seminar, Cyborgs and Transhumanism, in the Honors College. 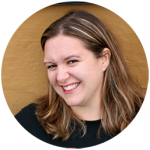 When she’s not wrangling (or being wrangled by) her two rescue dogs, Jessica is the Learning Design Manager for MSU IT and the MSU Hub for Innovation in Learning and Technology at Michigan State University. She leads a team that helps faculty, staff, and academic programs effectively integrate technology into their teaching and research through consultations, demonstrations, workshops, and hands-on development. She has worked in information technology since 1998, spanning the private and academic sectors. Project management rhetoric makes her giddy, and learning new things is her favorite. 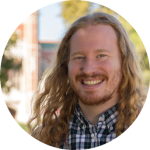 Keegan Long-Wheeler is an Educational Technologist at the Office of Digital Learning at the University of Oklahoma, who uses his background in science, pedagogies, and technical expertise to provide others with holistic solutions to their instructional and technological needs. Usually his students are faculty members at the University of Oklahoma who want to learn more about integrating technologies into their courses. 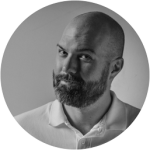 He is also responsible for providing professional development, consultations, and innovative pedagogies using technology.